This is Your Club! Come Join Us in Managing It. Lunnenburg Library, 1023 Massachusetts Avenue, Lunenburg, MA. We will be discussing practice dates, clinics, and the possibility of holding scentwork trials. Come and be heard! Please see our Facebook page for the most up-to-date schedule of practice days in the winter and spring of 2019. 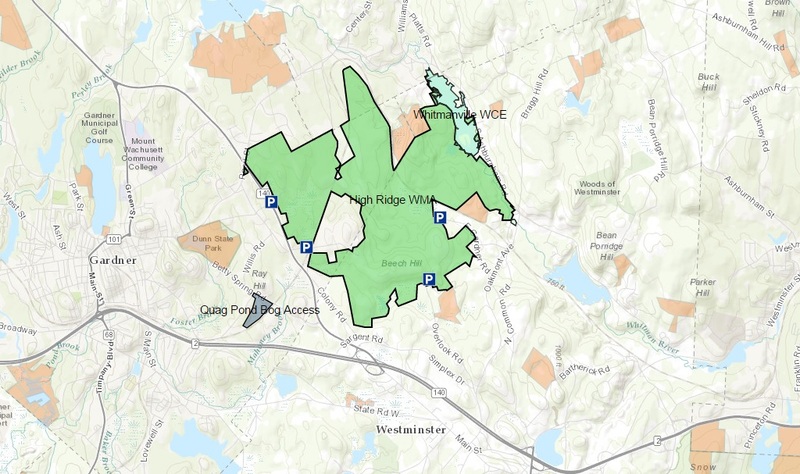 They will either be scheduled for the Westborough Industrial Park or High Ridge in Gardner. Directions to those locations are below and to the right. ​Take I-495 N or S to Exit 23B, Route 9W (towards Worcester). Take the first exit off Rte 9 (Computer Drive) and drive up the hill towards the Doubletree Hotel. Use the address 5400 Computer Drive, Westborough, MA for your GPS device. Head towards the North County Correctional Institution in Gardner (enter off of Rte 140 (a few miles off Rte 2) – there will be a sign for the North Central Correctional Center). Turn right onto Colony Road and at the T intersection you will be facing a self-storage business. Turn left and follow Colony Road through the Correctional Center, up a hill past the parking lots. There is a sign saying "no cars" beyond this point. Ignore it and just keep going until you see a bunch of cars parked in a small area off to the left above the really big hill. You can use the address 500 Colony Road, Gardner, MA for your GPS device.